Huawei is honouring its fans with an exclusive Christmas Dinner on 20 December 2018 at Poseidon’s Reserve Caviar & Oyster Bar in Kuala Lumpur. All guests will be presented with exclusive door gifts and lucky draw prizes courtesy of Huawei brand partners – Aerocentric, Palm Garden Golf Club, Poseidon’s Reserve Caviar & Oyster Bar, Sheraton Imperial Kuala Lumpur and Viu. Throughout the evening, there will be fun activities for the guests. Join the Caviar Masterclass and indulge in the ultimate luxury experience or get some tips on looking good this festive season in a Beauty Workshop. 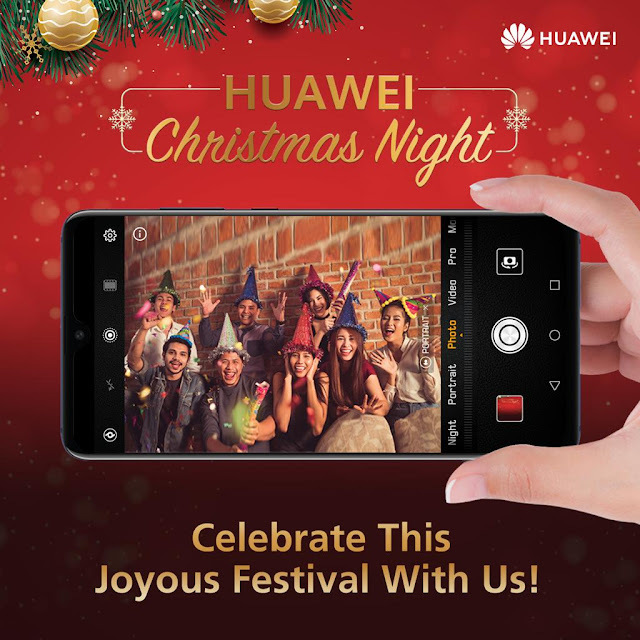 Last call to grab an invitation to Huawei’s Christmas Night! Lucky fans can participate in any of these activities to land themselves an invitation. Huawei AppGallery users can be the lucky few to win an invitation to join other fans and Huawei on 20 December for an exclusive Huawei Christmas Night. All is required is to purchase and download any apps by 14 December and be in the running to be the lucky 10. For more information on HUAWEI Malaysia and other innovative products from the tech giant, please visit https://consumer.huawei.com/my/ or follow HUAWEI’s official Facebook page at .